Indonesia has identified one of the attackers in the deadly Jakarta assault as a convicted militant, whose picture went viral following the attack. Police also detained 12 suspects linked to the attack. 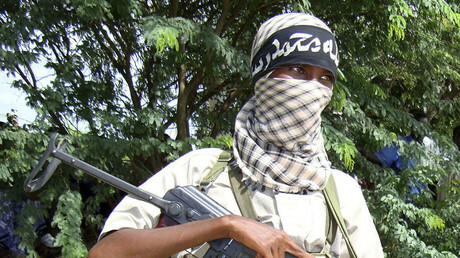 Apart from the five attackers, who were all killed, the string of assaults claimed two lives, and left 24 others injured. Those killed in the attack included people of 18 different nationalities, Interior Minister Compaore said. 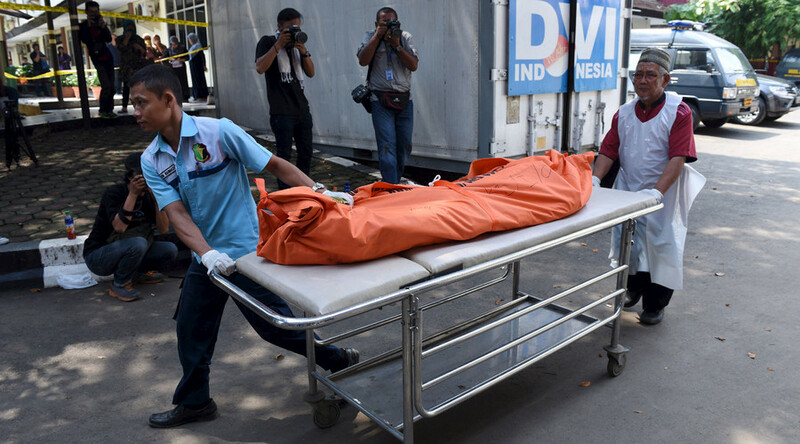 Police also said that the five militants behind the assault had planned to launch attacks on other Indonesian cities, too. The attacker’s name has been revealed as Afif, also known under the alias Sunakim. Police confirmed it was the man in blue jeans, black t-shirt and a black hat pictured preparing to raise his handgun – the photo that instantly went viral. The man trained in an Islamic paramilitary camp in Indonesia's semi-autonomous Aceh region in 2010, according to national police chief Badrodin Haiti, as quoted by AFP. Afif was sentenced to seven years in jail for participating in the camp. However, he was freed last year, Haiti added. Security forces added that they have identified four out of the five attackers. The other three names haven’t been disclosed yet. Islamic State (IS, previously ISIS/ISIL) claimed responsibility for the attack. Indonesian police said IS was working through an affiliated terror group working in Indonesia called Katibah Nusantara. Afif was reportedly recruited by Indonesian extremist Bahrum Naim, who is thought to be a founding member of Katibah Nusantara. He allegedly orchestrated Thursday’s attacks remotely from Syria. Naim was arrested five years ago for illegal weapons possession, and got a year behind bars.